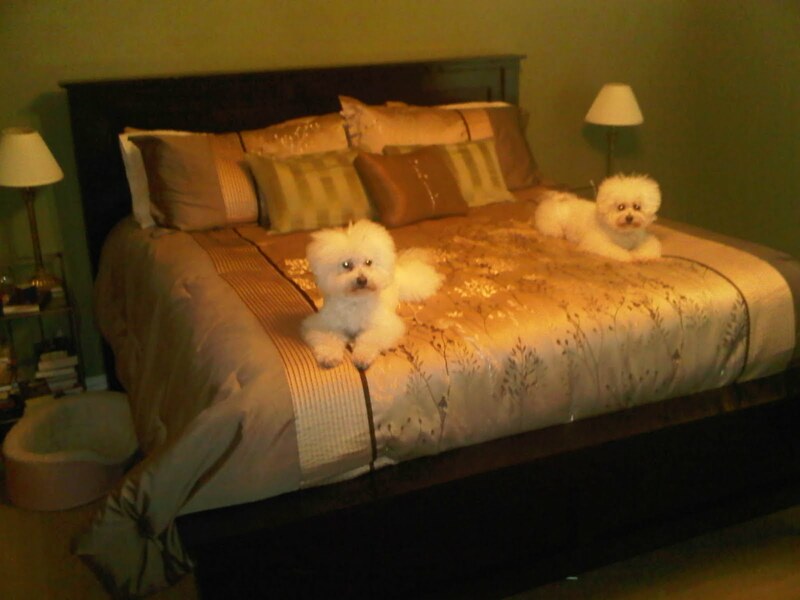 No, literally, I made a bed. 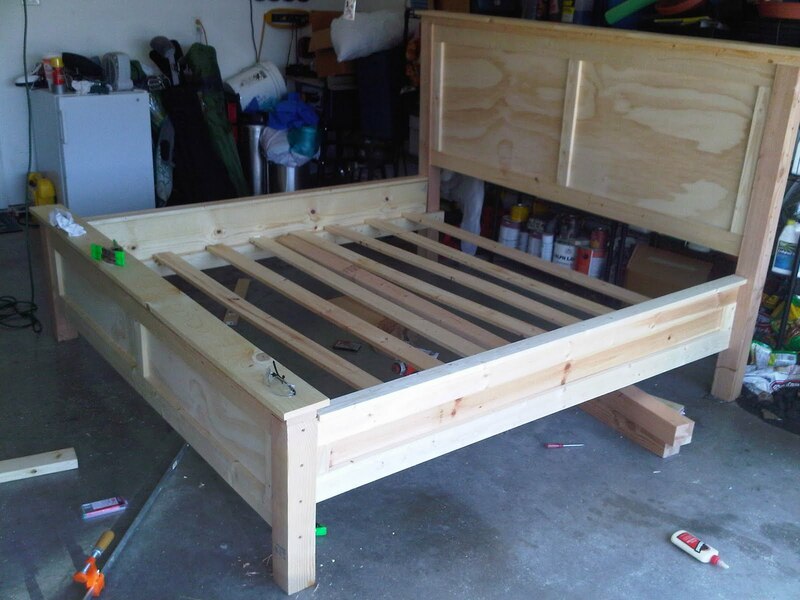 Here's some info on building a King Size Bed based loosely on Ana White's Farmhouse Bed plans. 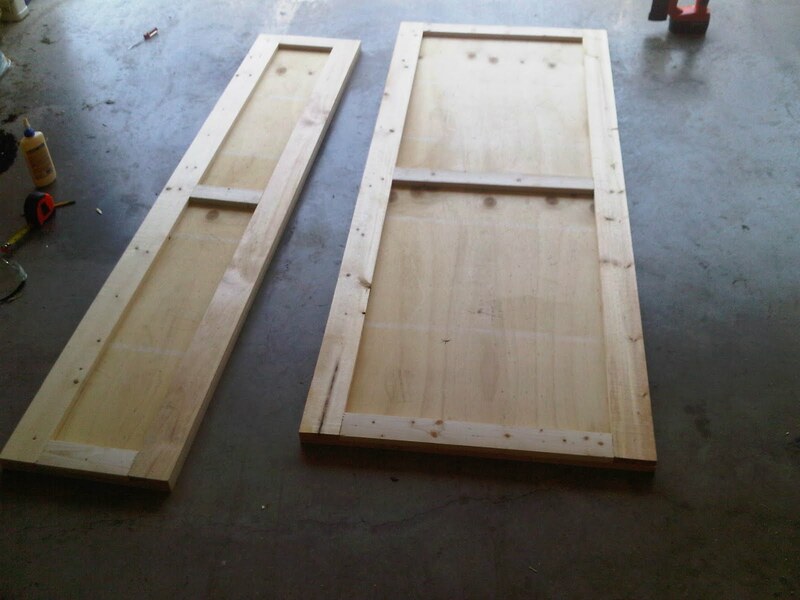 Headboard plywood cut 77" x 30"
Footboard plywood cut 77" x 15"
Attach trim to headboard and footboard panels. 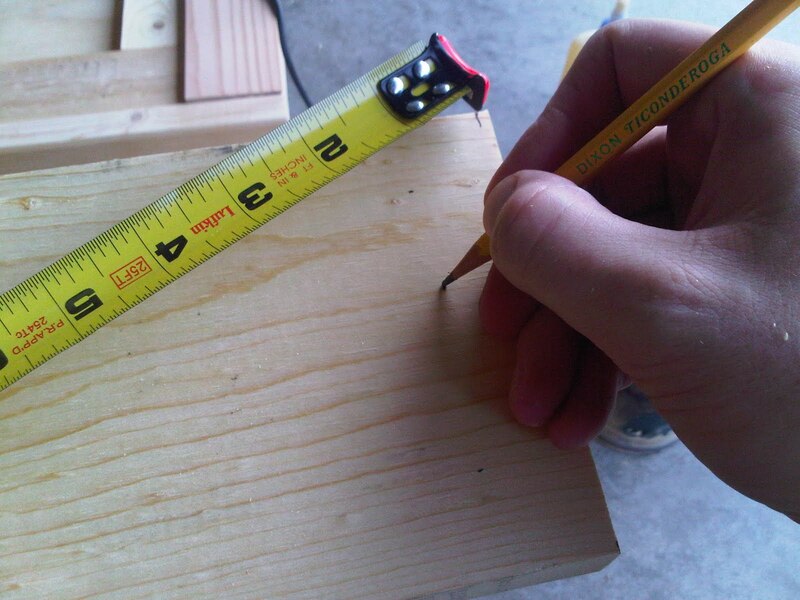 Add upright trim pieces - measure to put the center piece in place. Do the same trim on the reverse side. 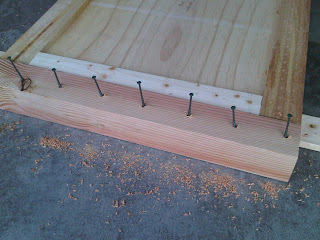 Pre-drill holes in the 4x4s to countersink the screws. 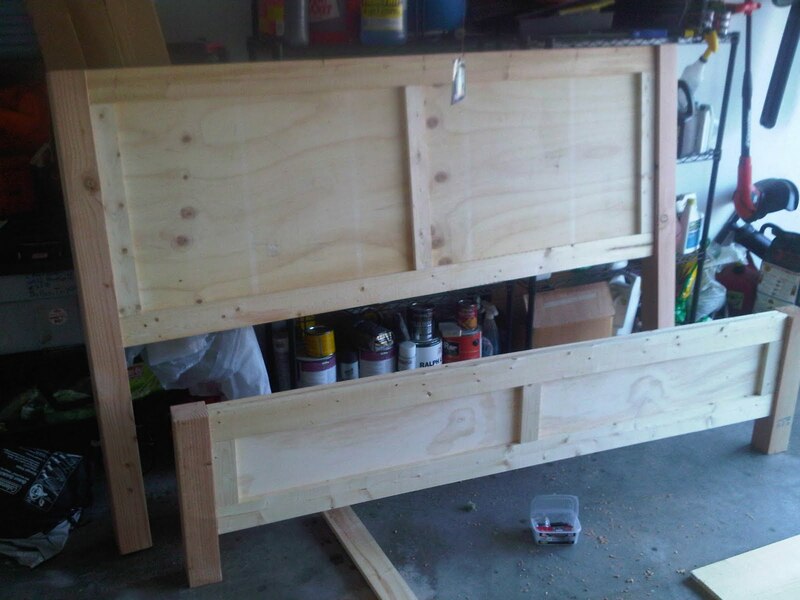 Attach legs to headboard and footboard with 4" screws. Add 2x4 header along length of headboard (no picture) using 3" screws. 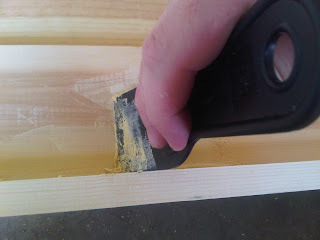 Add 1x6 header - first, mark the width of the headboard (or footboard) on the bottom of the header to help center it when you nail it on with nail gun. 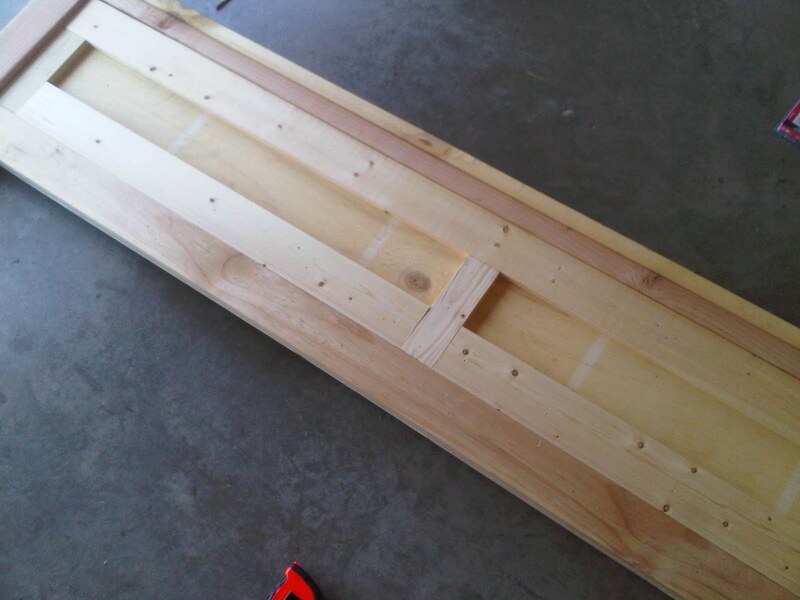 I found that with this modification in design, I had to add additional 1x4 to the BACK/INSIDE of the footboard so I would have a place to attach the 2x4 frame. 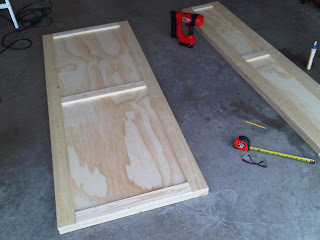 Build side rails and attach to frame. 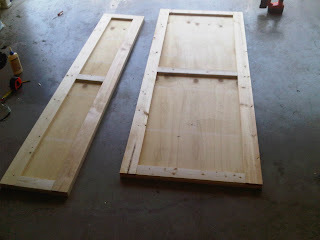 Used 1x4s for top trim and 1x3s for veritcal trim, then a 1x3 header to the whole thing. Attache to the side cleats using 2" screws. 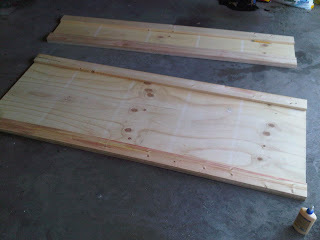 The slats will end up with 7" on each end and a spacing of about 6" each. Then use wood putty to fill all of your gaps and nail holes and mistakes. Finish the project using paint/stain/etc. I recommend using a coat of polyurethane over it (but realize it will be at least one level glossier than you think it will be. 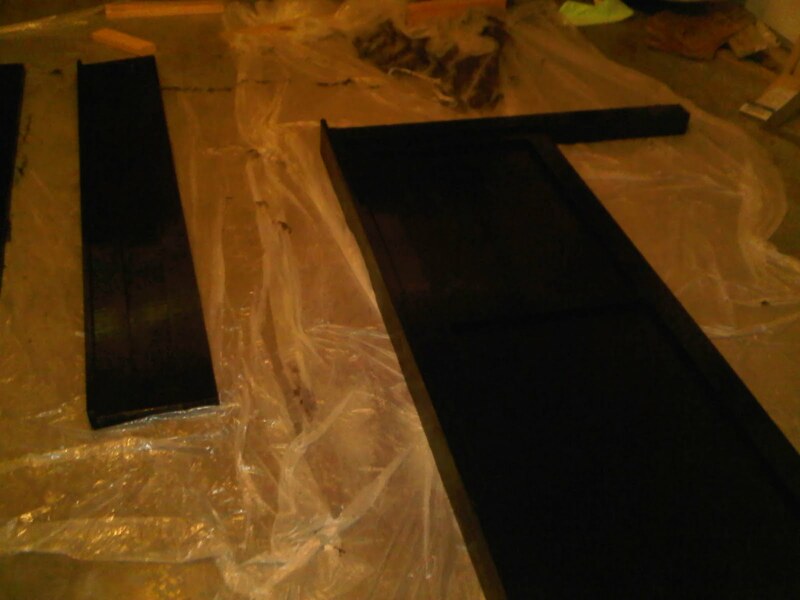 So if you want semi-glossy, use satin, hahaha). 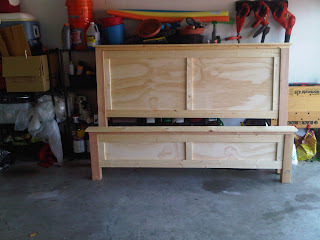 And then reassemble in your bedroom and put the mattress and box springs on it. 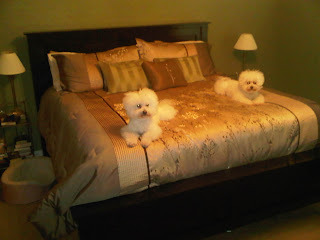 As you can see, our bed is now GIANT. So my next project will be to take some plywood and 2x4s and create a pair of "pseudo box springs" that is much shorter to take the place of our box springs and lower the mattress into the bed box a bit. Currently we're like 20 feet off the ground which is not a preferred sleeping height.